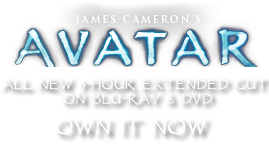 Direhorse Bow (Neytiri and Jake Bow) | Pandorapedia: The Official Guide to Pandora | Own AVATAR on Blu-ray & DVD Now! After completion of Iknimaya and Uniltaron, each hunter is allowed to carve a bow from a branch of Hometree. These bows are a symbol of adulthood and its accompanying responsibilities. 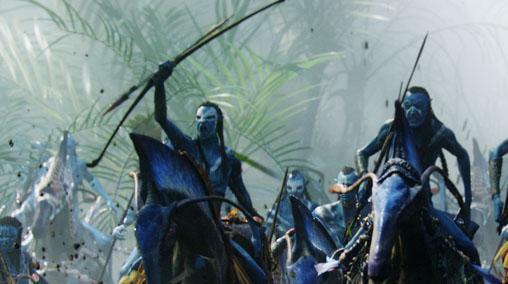 They also serve as the primary hunting weapon for a Na'vi. This ranged bow is highly decorated and appropriate for use in ceremonies. But it is crafted to the peak of Na'vi design and functions extremely well in real-life situations. Function Ranged bow for use while riding direhorse. Size and Weight Three meters long, roughly 3.6 kilograms. Materials and Construction Bow is made from shaped wood. Handle made from scaled animal skin adhered with a plant-based glue and additionally bound with decorative woven banding. The string is made from sturmbeest gut. Notes Low hand grip and shorter base of the bow allows for easy change of position while in the saddle.